German born Photographer Christoph Klauke, based in London, received his Bachelor of Arts degree from Brooks Institute of Photography in California. Over the years Klauke has gone on to work for many publications, including The New York Times Magazine, French Vogue and Vanity Fair, as well as solo exhibitions in London, Paris, Tokyo, Basel and Lugano. His first book, The 28 Faces of Corinne Dolle, was published in 2011. 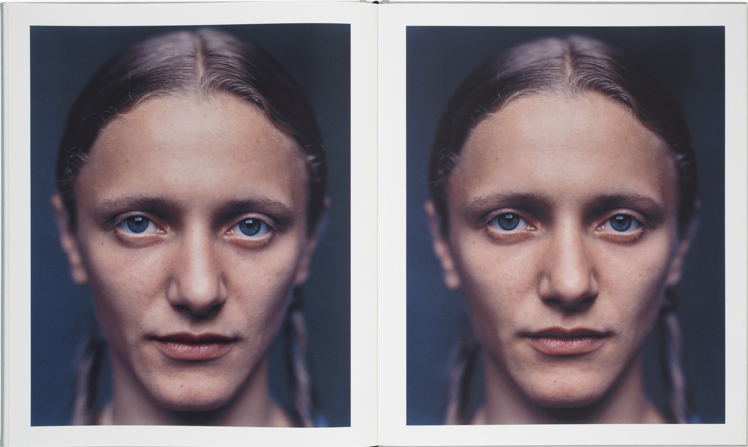 I spoke with him recently about the upcoming launch in London of his second book, Double Portraits. EA: How long have you been working on your series, Double Portraits? 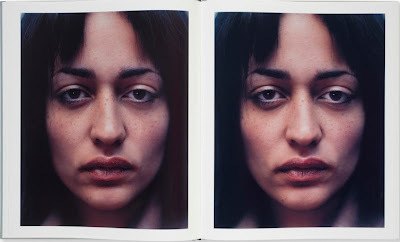 CK: I started Double Portraits with the intention of making a portrait photo book in early 2000. I had my own photo studio then, in an up-and-coming area of London called Spitalfields. After relocating to New York in the summer of 2001, I continued with the portraits in New York until 2004 and finally finished a third chapter on the West Coast in 2005. On returning to London I thought I would be able to place the project with one of the specialist publishers but it proved impossible. 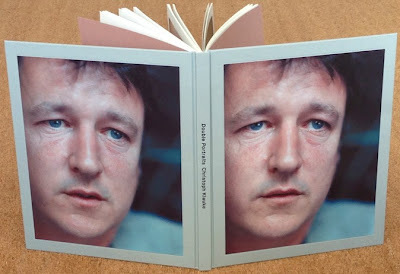 I self-published my first photo book two years ago, as a form of trial run for the "Double Portraits" book. I would recommend to other photographers to do the same. Although painful at times, it is incredibly rewarding to stay in control of the book production process. EA: Are these portraits identical? 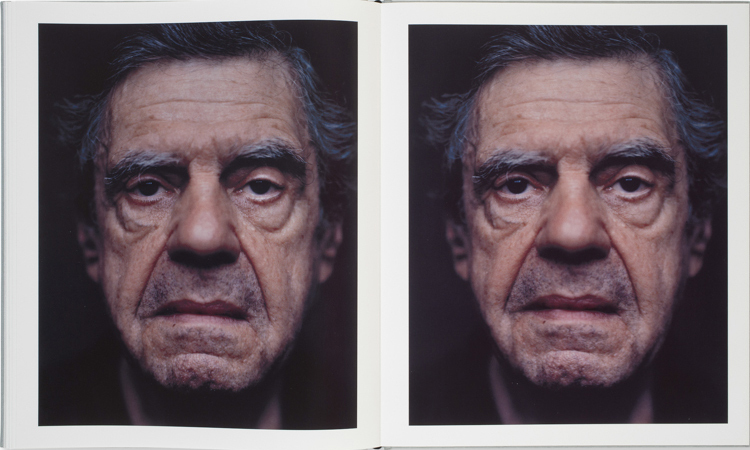 CK: No, the portraits are similar but not identical. There is a time lag of several seconds between the first exposure, the left photograph and the second exposure, the right photograph. All these portraits were taken with an 8x10" Deardorff camera, which requires using a heavy tripod. The left frame is focused and composed, the second is uncontrolled. The sitter knows that I am taking two pictures and is attempting to sit still. 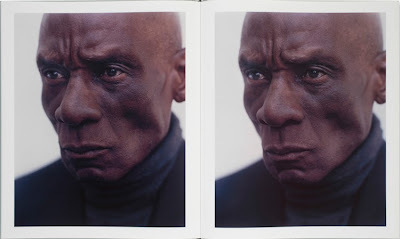 Since the depth of field in this close up setting is so shallow, there is inevitably some movement or at least a different expression in the second photograph. Combined together, the viewer's eye scans for differences and sometimes feels or imagines the moment in between. EA: How did you arrive at this idea? CK: Back in Spitalfields, in 1999, I was asked to exhibit in a small space, a former tailor's shop called "Made to Measure" in a Georgian house in Princelet Street. I did a series of sittings with a local beauty and neighbor, and the first double portraits evolved. The images had to be printed large scale since the work could only be viewed from the street through the shop front window. Today, I am much happier working with small prints, closer to life size. EA: How large are the actual prints? CK: The image size is 8 1/2 x 11" on 9 x12" Agfa paper, so just a minimal enlargement from the 8 x 10" size of the camera negative. The hand prints were made by Brian Dowling in London, close to the time of the sittings. Our intention was to produce a master set of reproduction prints for this book. Other than this set, I have a couple of spare prints of each image and that's it. We had no idea at the time of printing that the paper would disappear soon after. Agfa went bust and Kodak, which made the second most suitable paper stock, also stopped making the paper. It's worth mentioning that the photographs are reproduced 8x10" in size in "Double Portraits"; this is a homage to the 8x10" negative format. EA: Who was involved with the making of this book? CK: Stephen Male did the edit and sequencing of "Double Portraits", so when I met with Leon Krempel, I had a dummy with blind text in hand. It was suggested that I approach him with a view to writing the introduction because Krempel had curated and put together a very interesting exhibition and book called "Marlene Dumas: Tronies," where he contrasted historical paintings by the Dutch Masters with contemporary paintings by Marlene Dumas. Tronies are small, isolated paintings of heads. While a rigorous art historian interested in portraiture, Krempel was able to convey what the photographs feel like, as opposed to what they look like. EA: The book has beautiful design details. Can you tell me a little about the printing, paper and binding? CK: Lena Mahr is responsible for many of these details. She finished the book design based on the initial design direction by Stephen Male with great diligence. The book was printed by Optimal, one of the top printers in Europe. The paper we used is 115g/m2 Phoenix Motion by Xantur. In Germany the binding we used is called "Japanese binding", but I believe in English it is either known as pouch binding or French binding. Another term for the binding is Japanese fore-edge fold. Besides the obvious advantage of printing only on one side of the paper and having no 'show through', the pages lie almost perfectly flat when opened and don't close on themselves. I have to give the printer credit for this suggestion. It made a big difference for this project. EA: Your book launch will be September 4th (at Claire de Rouen Books) in London. Any other future plans for this series? CK: The "Double Portraits" book is really the finished work. There are only 750 books printed and all are numbered. I would like to produce a sequel, which would involve spending a year or so in Africa, Asia and India, but this would require external funding. And who knows if Kodak survives. One day soon there may not be any film left to take these kinds of photographs. 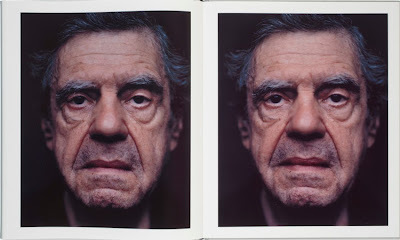 "The first portrait of each pair results from a carefully-established relationship between photographer and sitter. The second shot is taken a moment after the first, capturing the consequences, in the sitter, of becoming a ‘subject’. 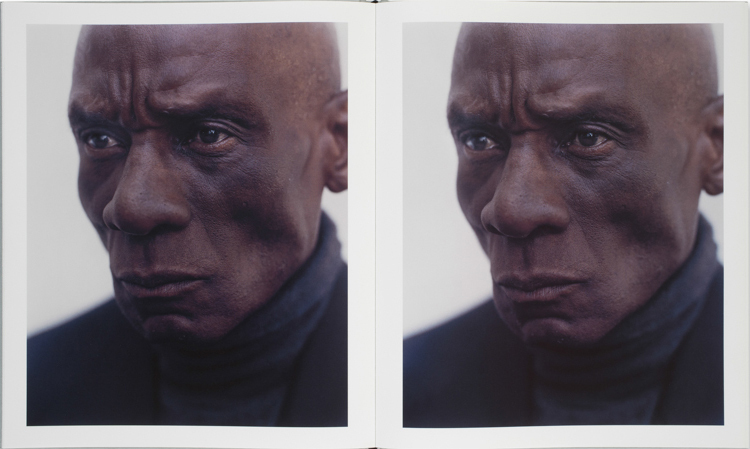 Sometimes these second portraits show us what León Krempel calls ‘sundered egos'. 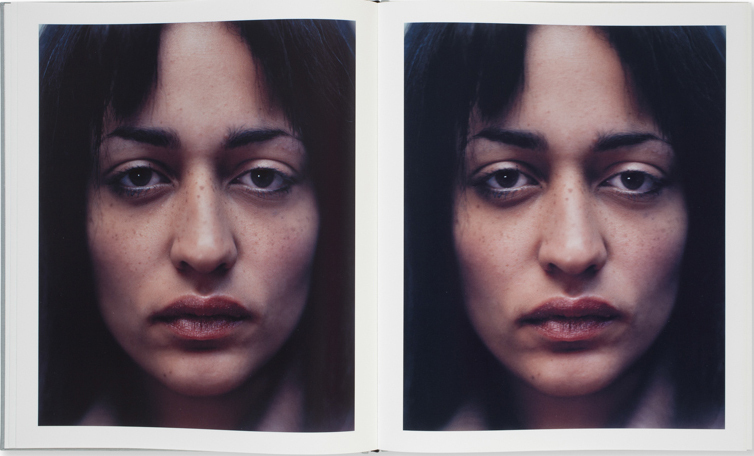 All of them describe the passing of time and, as such, allude to the way in which portraiture aspires to posterity."